On Monday 11th February, Finchley United Synagogue together with Mizrachi UK in celebration of Israel 70 presents a multimedia musical extravaganza. 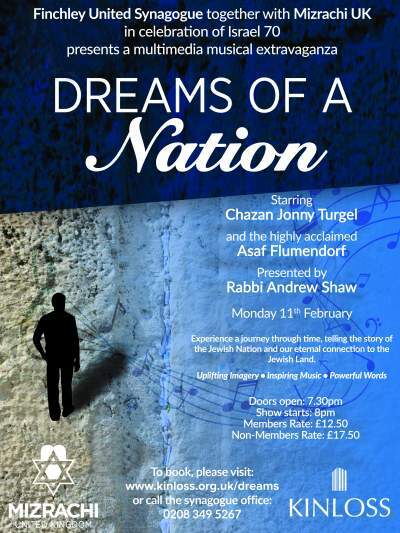 Starring Chazan Jonny Turgel and the highly acclaimed Asaf Flumendorf. Presented by Rabbi Andrew Shaw.